How tiny features do you think can your fingers detect? Well, absolutely those tiny bumps on a smooth glass table. But do you think they can actually detect things that you can’t even see with your eyes? Researchers of Royal Institute of Technology in Stockholm, Sweden decided to study this. 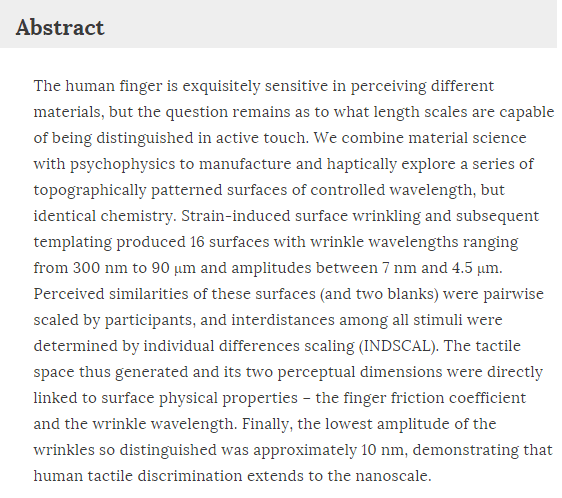 In a paper they published in a reputed journal, they show how human fingers are capable enough to detect features in the nanoscale – features as small as 13 nanometers.